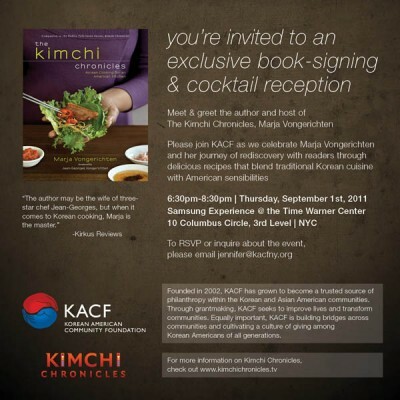 On Thursday, September 1, from 6:30-8:30 pm, Kimchi Chronicles is holding a book signing and cocktail reception in New York along with KACF. Marja will be signing cookbooks, and taking photos with fans. 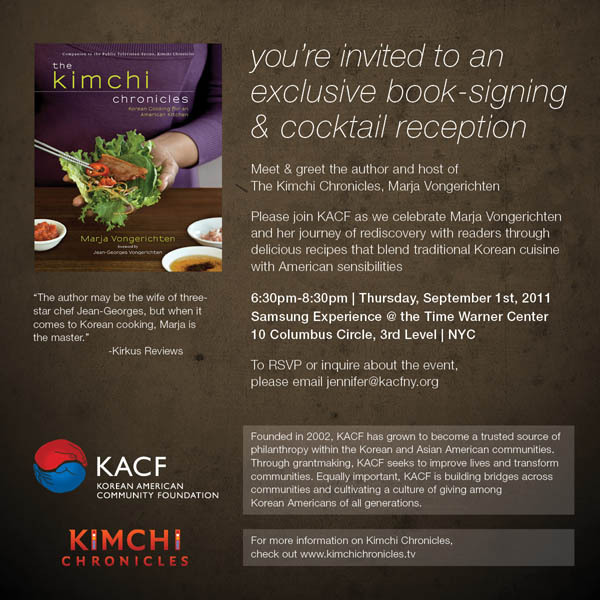 Come for an evening full of cocktails and Kimchi Chronicles fun.